The above price reflects $40,000.00 per acre. New Industrial Park under development at Rt.30 and Rt.43/Waynesburg Dr. Exit. 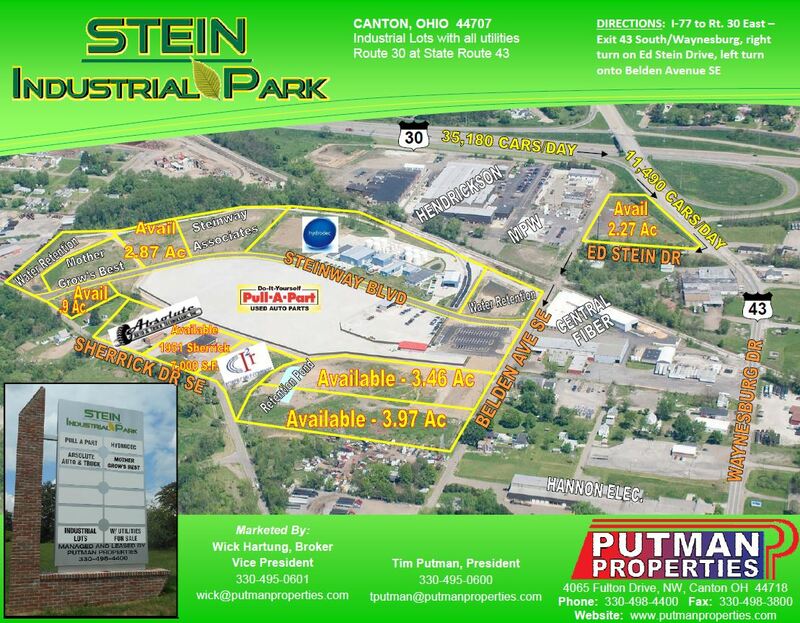 New Industrial Park. Vacant land with city water and sanitary being planned. Owners will build to suit and lease; or lease option to prospects.